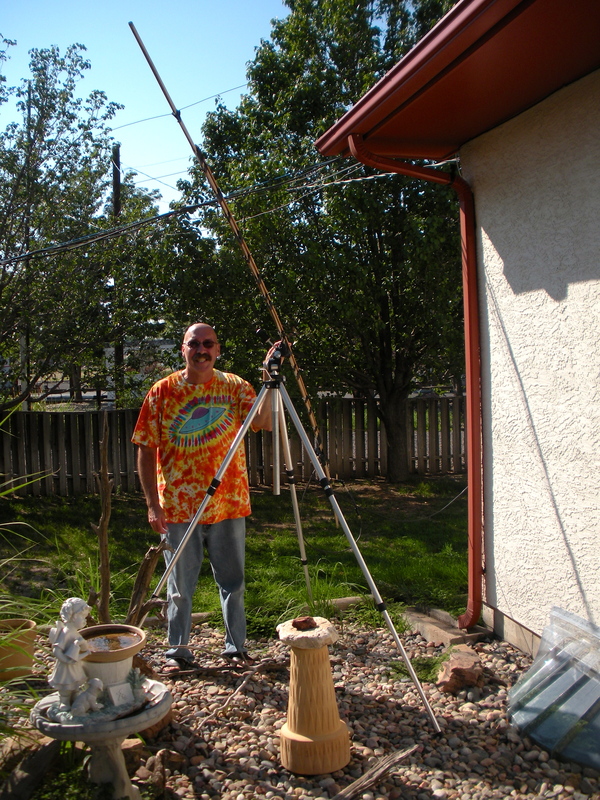 Roughly twice a month, ham radio hobbyist Mike Coletta’s homemade antenna picks up a steady tone that grows louder and then softer before disappearing for another two weeks. It’s the sound of the moon reflecting radio waves that originated on Earth. Coletta tracks all kind of near-Earth objects: the International Space Station, satellites, meteors. Signals picked up by the antenna, which is made of a 10-foot wooden board and metal coat hangers, are converted into tones that differ depending on the direction and location of an object. The tones, layered over a background of heavy static, grown louder and then softer as the object passes by, like a train traveling toward you and then barreling away. 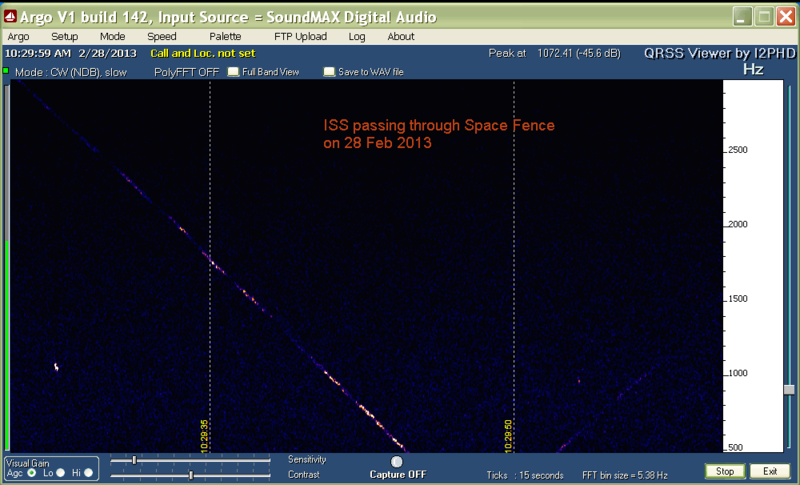 Listen to the sound of the ISS here. Smaller objects may sound like tiny blips, while large objects such as the ISS are a long whistle. Highly reflective objects, such as satellites covered in solar panels, really stand out. Coletta also converts the signals into images that depict the frequency and timing of the tones. Just hearing a tone doesn’t immediately give away the identity of an object. Coletta refers to websites that track the location of space objects to be aware of what will be passing over at a determined time. If a tone occurs when a known object is overhead, he can make an educated guess at what he is hearing. Coletta’s greatest ally for tracking space objects is the space fence, an Air Force-operated stretch of metal lattice in the southern U.S. that beams radio waves into space. If any object passes over the long, thin region of radio waves, it reflects some back to Earth. The Air Force has dedicated receivers to track the reflections, but hobbyists like Coletta can pick them up too. He estimates there are 100 to 150 other hobbyists in the U.S. monitoring for space fence signals. Unfortunately for Coletta, the space fence will shut down October 1 to save the government $14 million a year. Additional Air Force radar systems will take over surveilling space until a planned superior space fence is completed. Unlike the space fences, the temporary radars in use won’t be tracking objects 24/7. That worries Coletta, who spent 36 years working for the Air Force and part of that time working on one of the radars that will take over for the space fence. 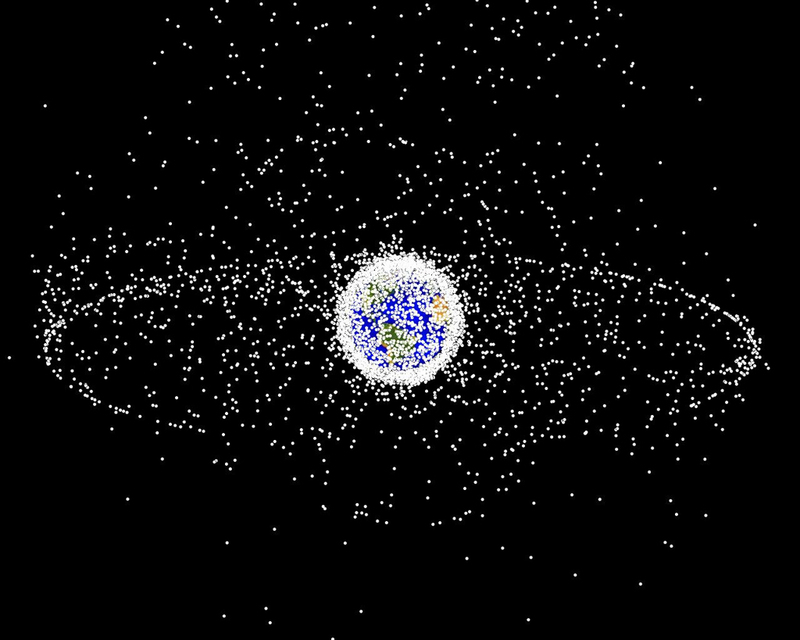 Data from NASA says there are 21,000 known particles at least 4 inches across orbiting the Earth. Each one of those poses a risk to man-made objects like satellites, calling for detailed tracking. Now, he’ll have to turn his attention to another source of radio waves: Mexican television stations. 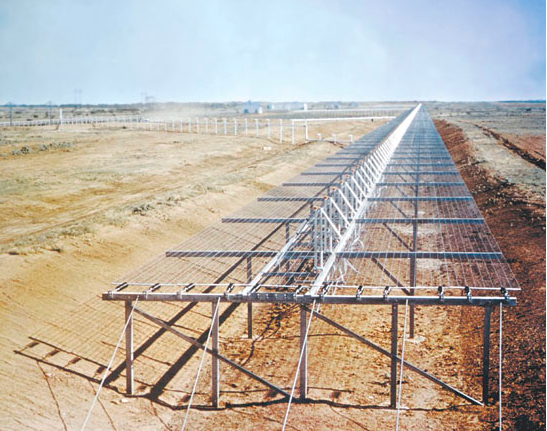 What frequency or frequencies does the space fence operate on? Approximately 217 MHz. See http://en.wikipedia.org/wiki/Air_Force_Space_Surveillance_System for more information.